In a small bowl, combine the first 11 ingredients. 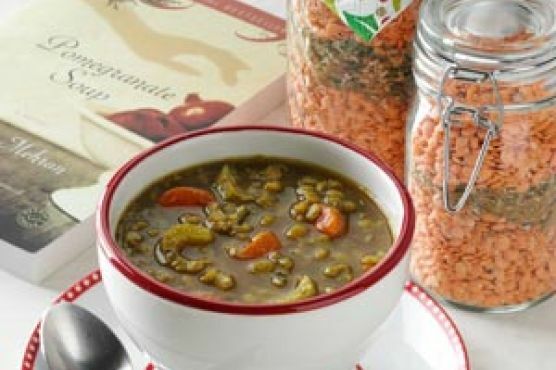 Place 2/3 cup lentils in each of four 12-ounce jelly jars or cellophane gift bags. Evenly divide onion mixture among jars and top with another scant 2/3 cup lentils. Store in a cool dry place for up to 6 months.